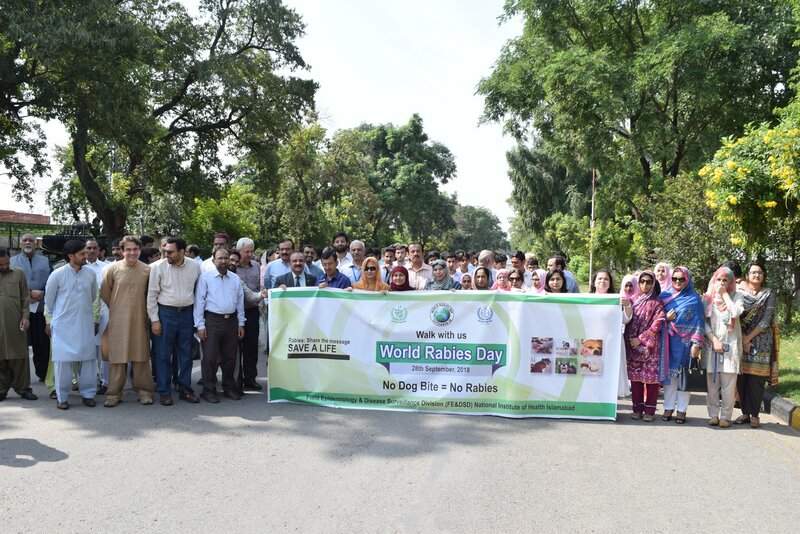 The World Rabies Day is observed every year on September 28 to raise awareness about rabies prevention. 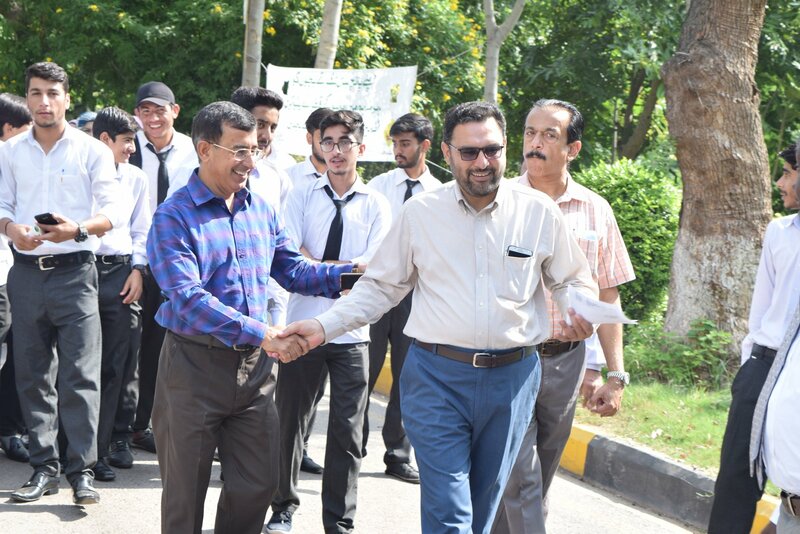 In this connection the National Institute of Health (NIH) also organized a walk and series of awareness seminars for the students of different universities of Rawalpindi/ Islamabad with the theme of “Share the Message: save a life”. 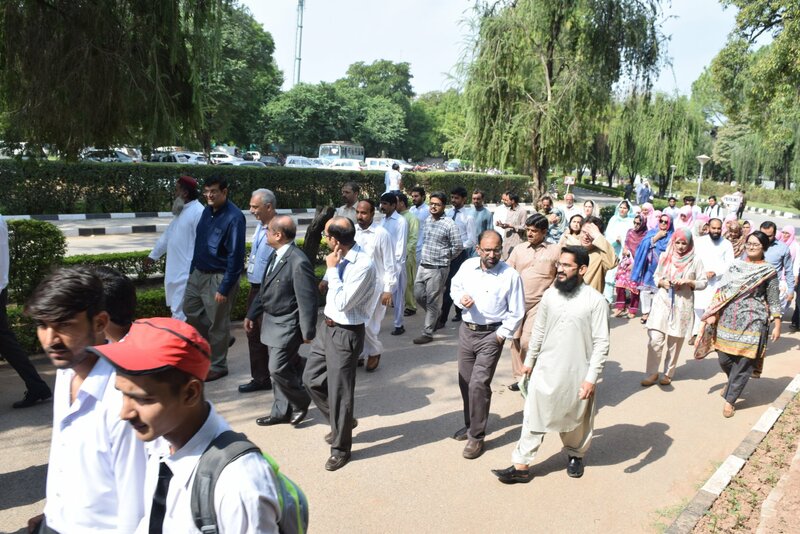 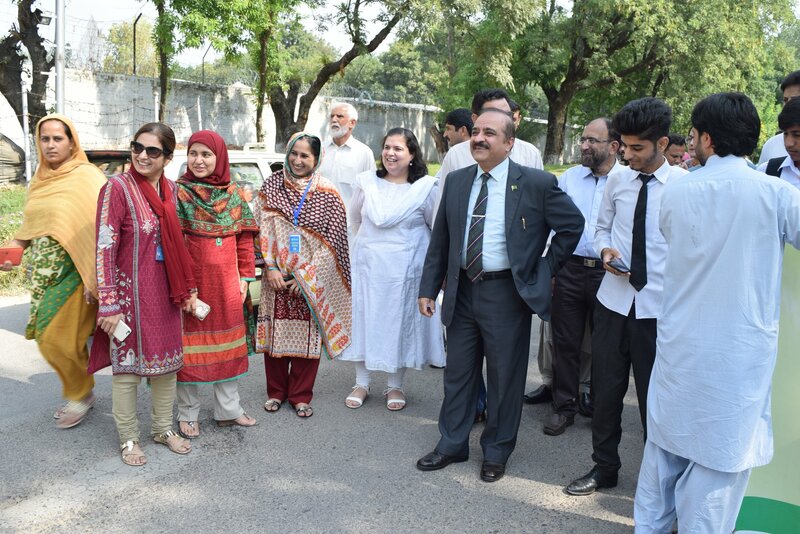 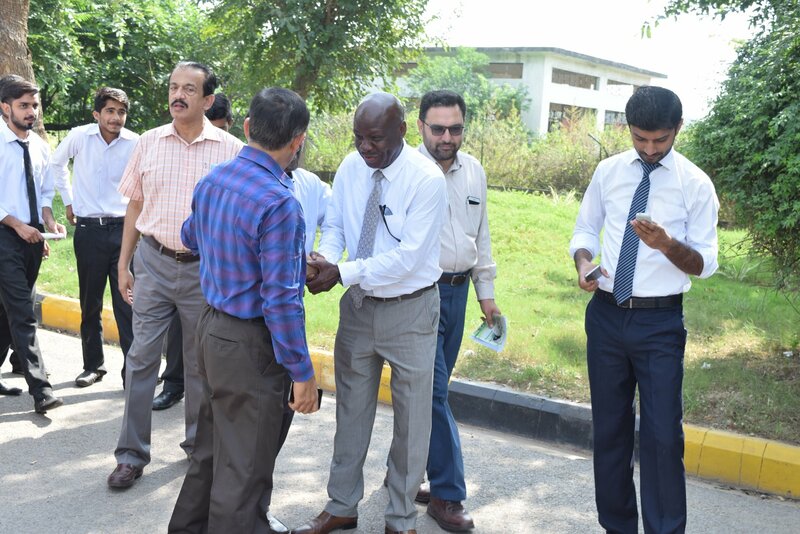 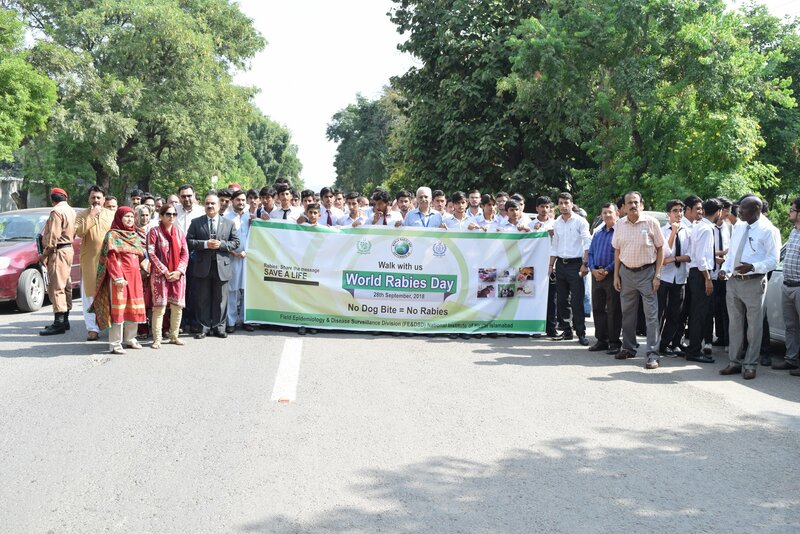 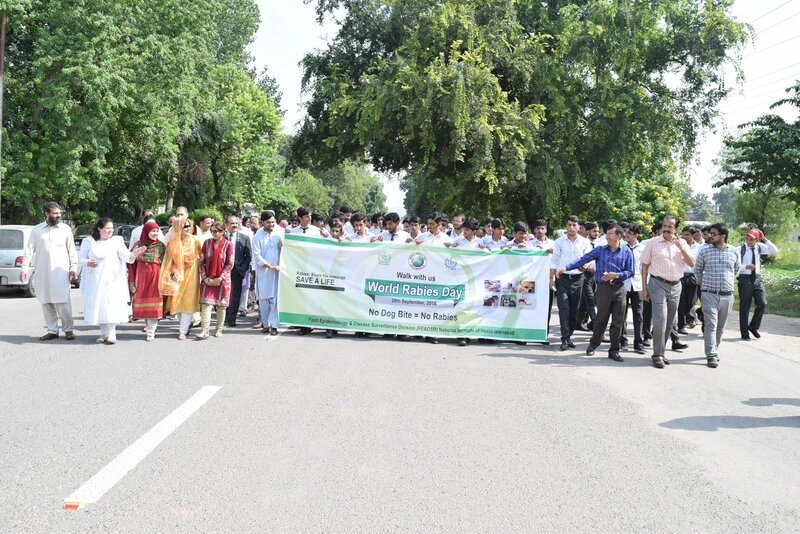 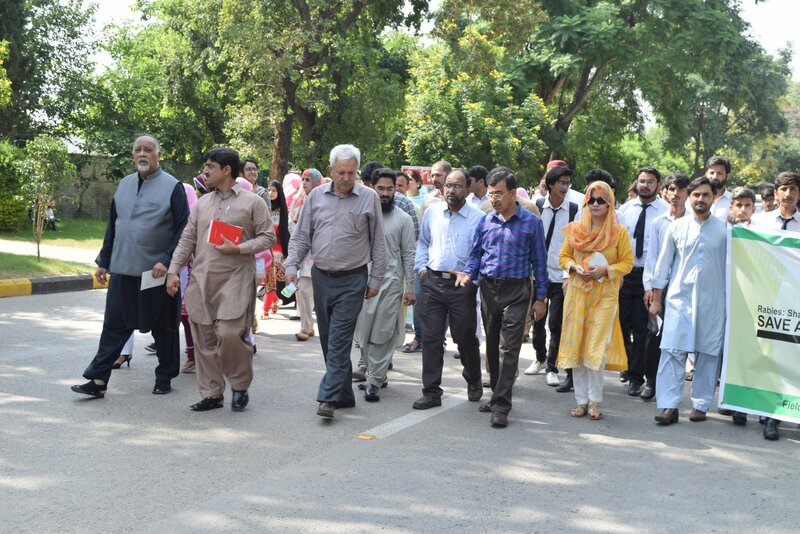 Executive Director along with all staff, students of College of Medical Laboratories Technology (CMLT), senior officers of the institute and WHO officers/ consultants participated in the walk. 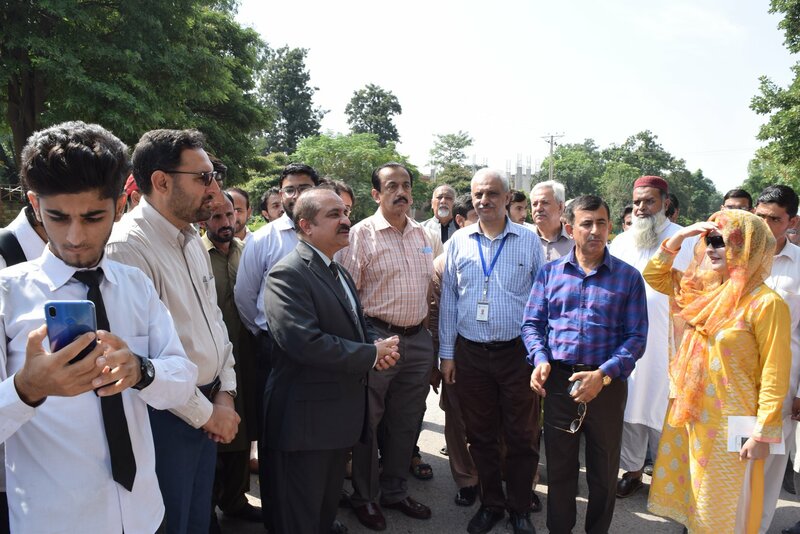 The Mobile Unit of NIH was sent to distribute printed awareness material to the educational institutes and general public. 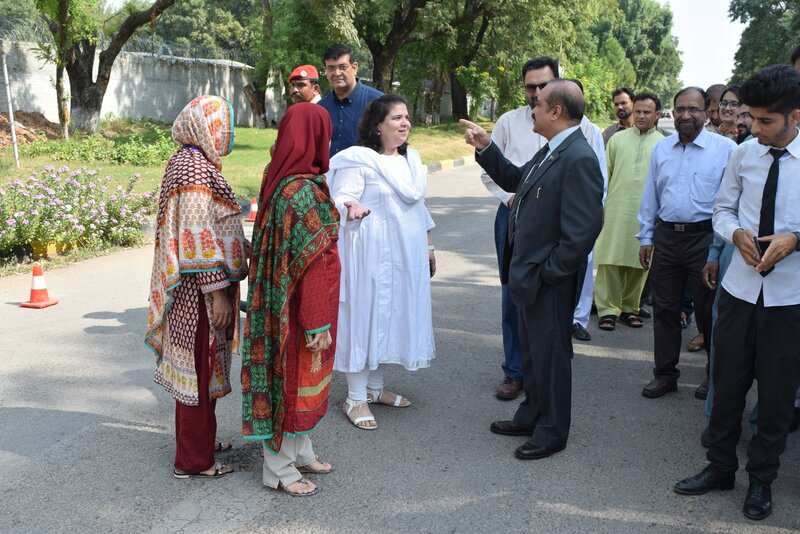 On this occasion, Brig. 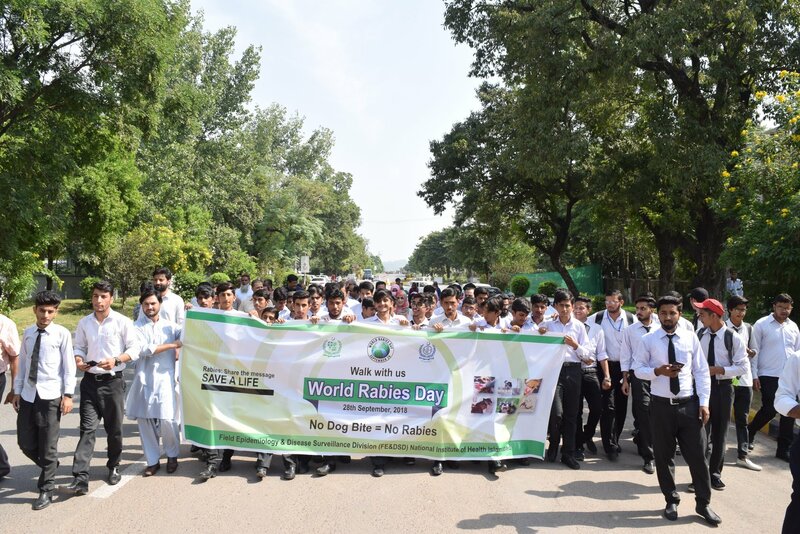 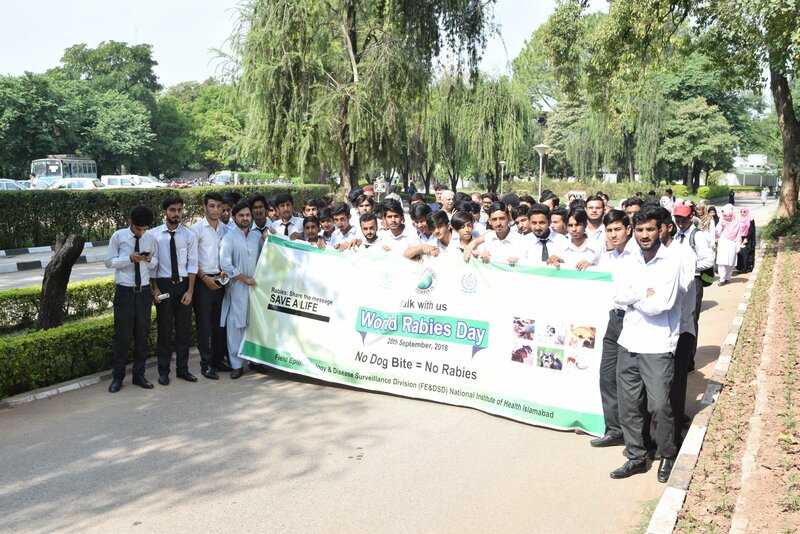 Dr. Aamer Ikram, Executive Director, said that recently Ministry of National Health Services, Regulations & Coordination along with NIH notified rabies as a ‘priority zoonotic disease’. 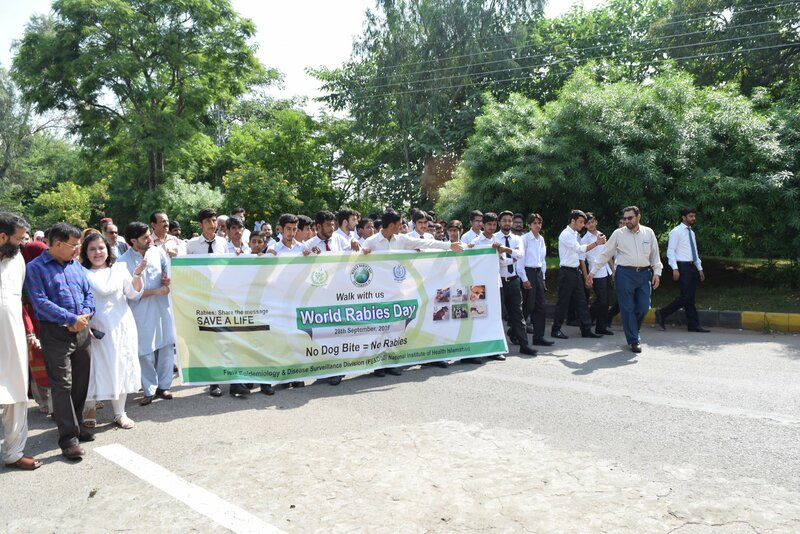 Now we are in process to establish a surveillance system for the reporting of rabies cases all over the country. 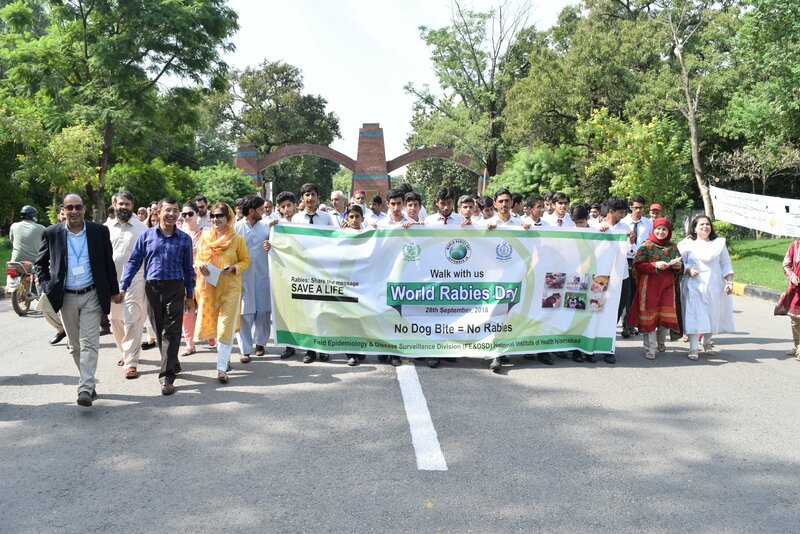 He also emphasized on provincial coordination in elimination of rabies.